While nanotechnology focuses on the very small, the range of scientific and technological disciplines that play a role in this industry is extraordinarily broad. 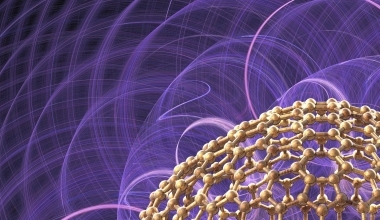 As nanomaterials, nanostructures, and nanofabrication techniques—including biocompatible nanoparticles, lab-on chip devices, and nanoscale patterning—become increasingly complex, clients need legal advisors with in-depth technical and legal knowledge, broad industry experience, and the ability to see the full potential of nanotechnology products and processes. To provide the most effective legal counsel possible, Marshall, Gerstein & Borun LLP draws on our attorneys’ and patent agents’ extensive scientific and technical backgrounds. More than 90 percent of our patent prosecution lawyers, patent agents, and technical specialists have scientific training in areas such as biochemistry, chemical, electrical, and mechanical engineering, chemistry, organic chemistry, and microbiology, and are admitted to practice before the U.S. Patent and Trademark Office (USPTO). Many of our lawyers obtained Ph.D. degrees in specific technical disciplines and some have worked at major corporations prior to entering private practice. As a result of this combined experience, we understand the hard science behind our clients’ technical innovations, as well as their goals for commercializing and maximizing the value of their inventions. We have developed and executed comprehensive patent protection strategies for nanotechnology advances in molecular biology, electrical engineering, optics, physics, microfluidics, mechanical engineering, materials science, chemistry, and chemical engineering, among other areas. In addition to domestic and international patent prosecution, we work with attorneys throughout the Firm to provide coordinated counsel on trademarks, copyright protection, and resolution of commercial disputes through litigation or settlement. In addition to our patent prosecution work, our transactional lawyers have significant experience structuring and negotiating the complex agreements required to maximize the multiple potential applications of nanotechnology inventions, each of which may have uses in several industries. While the mission, financial structure, and challenges facing a university, research center, government agency, or other non-profit institution may be quite different from those of a for-profit corporation, such entities often share a number of important objectives. We develop sophisticated licensing and transaction strategies, stay abreast of rapidly changing legal issues, and create enforceable agreements that help align the goals and protect the interests of industry participants. Our Firm is deeply involved in the prosecution of Northwestern University’s patent portfolio arising from the laboratory of Professor Chad A. Mirkin, the most-cited chemist and nanomedicine researcher in the world. Our transactions attorneys also structure and negotiate agreements for Northwestern to out-license this portfolio for commercialization in fields such as diagnostics, therapeutics, and lithography, and we have partnered with Northwestern to provide broader intellectual property counsel as the university explores other fields for these pioneering inventions. Marshall Gerstein prosecutes the University of Michigan Dental School’s nanomaterials patent portfolio. This portfolio includes inventions that control crystallization of hydroxyapatite and fluroapatite used in implant applications, and for restoring and strengthening tooth enamel. Nanocor, Inc., a wholly owned subsidiary of AMCOL International, is the largest global supplier of nanoclays designed for plastic nanocomposites. We have worked closely with Nanocor to protect the company’s inventions involving the production of Nanomer® nanoclay products, as well as for nanocomposite formulations and processes. We have also prosecuted its applications for lightweight auto parts, gas-impervious flexible films, and rigid containers.